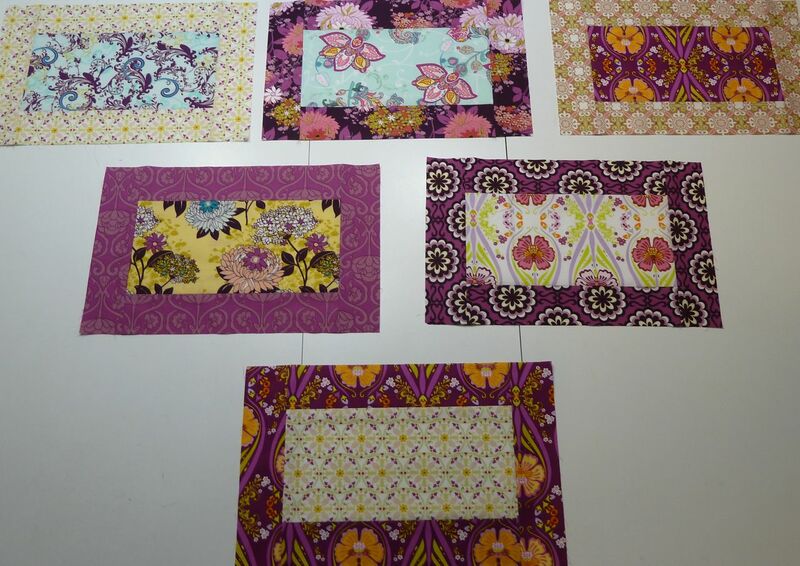 I had some lovely sewing time to myself this weekend and was able to get some projects started. I had a lot of fun working on these pillow covers using Paula Prass’ Wing Study in Pastille and Joel Dewberry’s Woodgrain in dill, the dill really picks up the green in the bird, a nice combination, IMO. 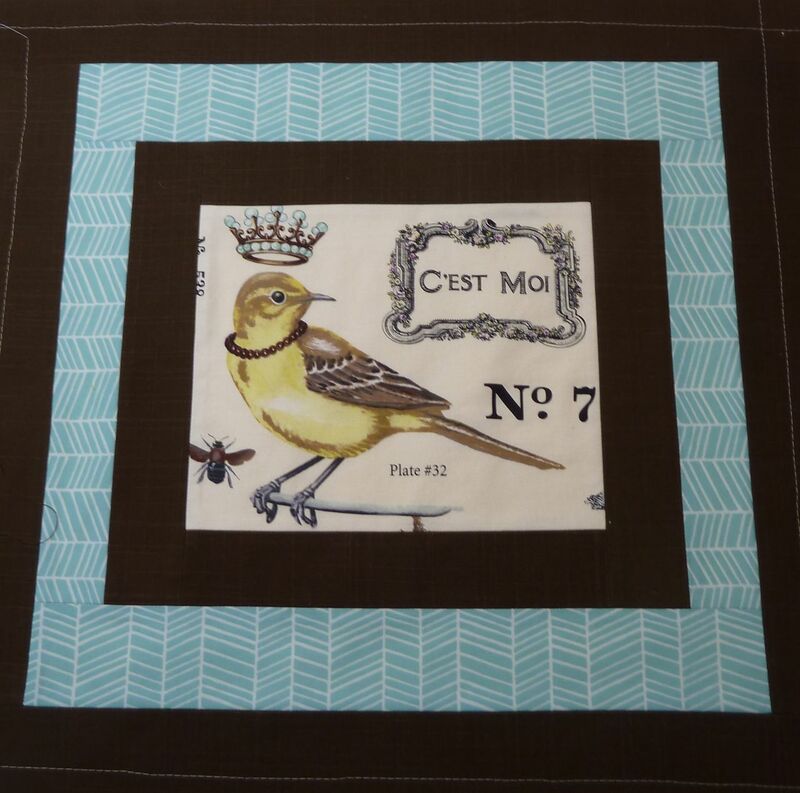 Another awesome combination is Paula Prass’ Wing Study in Pastille & Joel Dewberry’s Herringbone in Pond, it’s an exact match for the blue in the bird’s crown. The brown I’m using in these pillows was actually linen curtains from our bedroom. There wasn’t anything wrong with them, we just wanted a change in decor. There’s no rush for me to finish this quilt as it’s just to snuggle in and watch tv. This entry was posted in Pillows, Quilt As You Go and tagged Joel Dewberry, Netflix, Paula Prass by Tabatha. Bookmark the permalink. 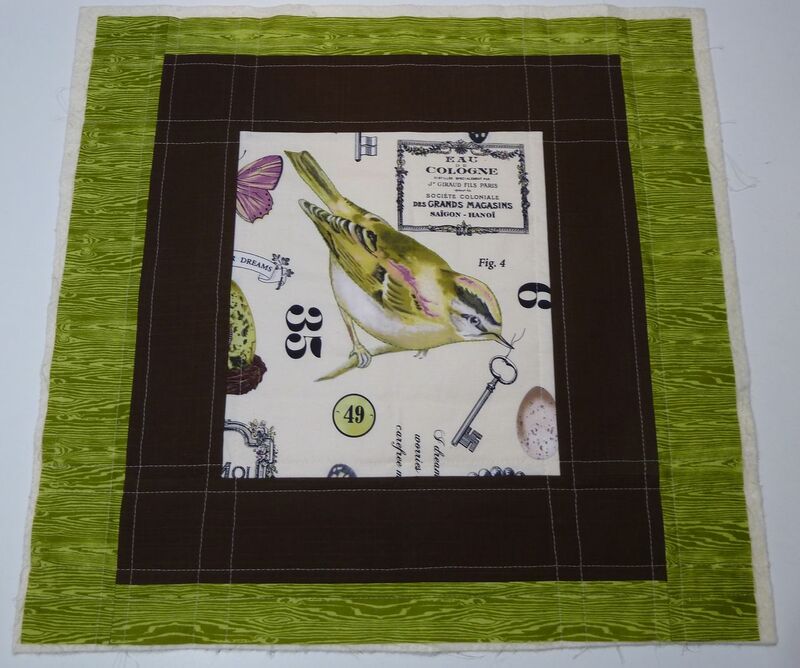 Oh wow, I love that aviary fabric and what you did with them, Tabatha. Very cool bravo blocks too. Looking forward to seeing how it all comes together. Thanks M-R! Paula Prass’ Botanika Wing Study is hard to get, when in stock, you have to jump on it immediately because it disappears in the blink of an eye. I’m purchasing 2 yards next time it’s in stock! Love your pillow covers, and your bravo blocks as well! Great fabric choices and combinations. Thanks P, it’s always fun putting together different fabrics from different designers and lines.